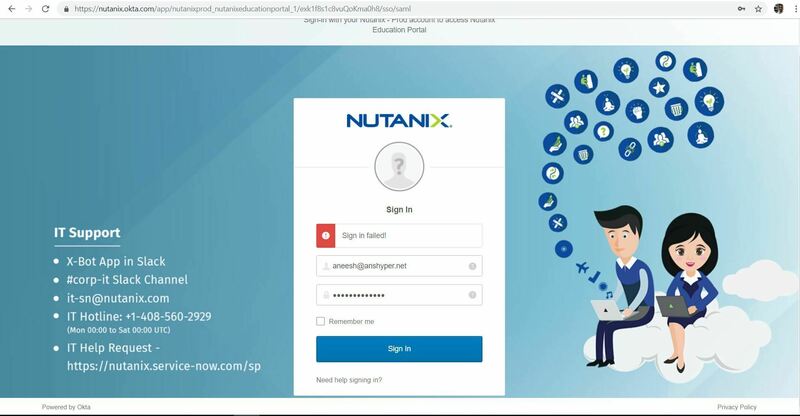 Nutanix gave some links, after using this links (https://partners.nutanix.com/?eid=Certificates or on https://nuschool.portal.relayware.com/?eid=Certificates) I was not able login to the account. I dont have any partner accoount and I only have the Nutanix Education Portal Account. 2. Previously I completed My Nutanix NPP 5.0 exam few months ago, was able to download the certificate the day itself without any fail. 3. 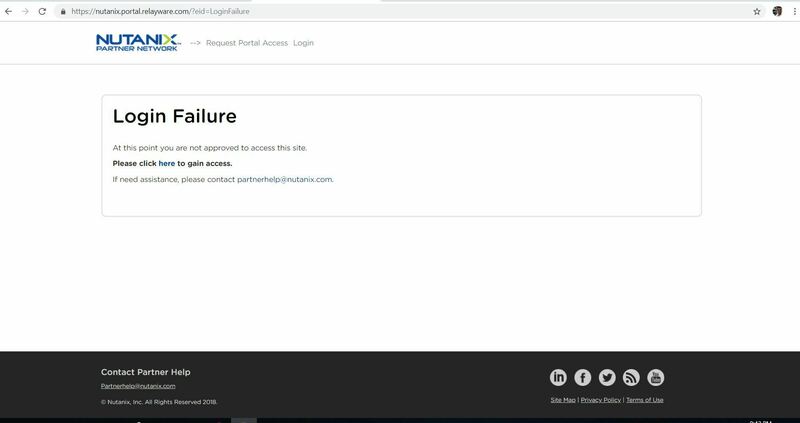 Please advise any other way to download the certificate or how can I get the Nutanix - Prod account to access Nutanix Education Portal?. 4. I have attached the screen shot of the failure scenario for your reference. Kindly assist me on the the login process. Finally I got my NCP certificate. Thank you so much for your great consideration. I encounter the exact same issue as you about the NCP 5.5 certification. I received the two links but I'm not able to connect on them.